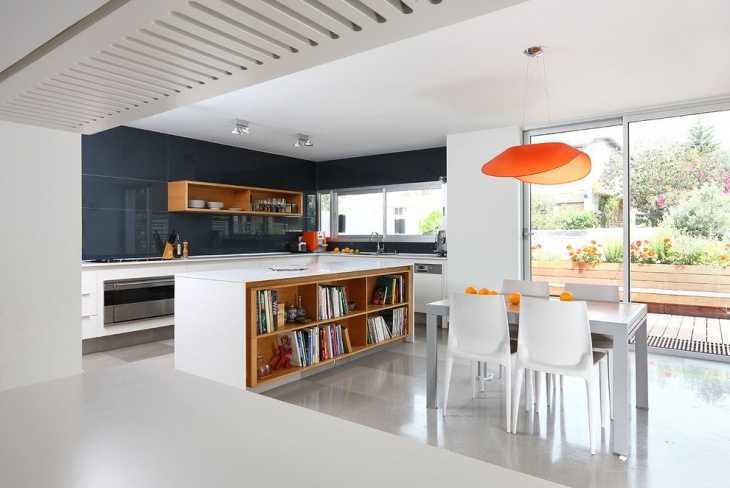 For this contemporary styled kitchen, the dining area was designed with a wooden table and chairs. 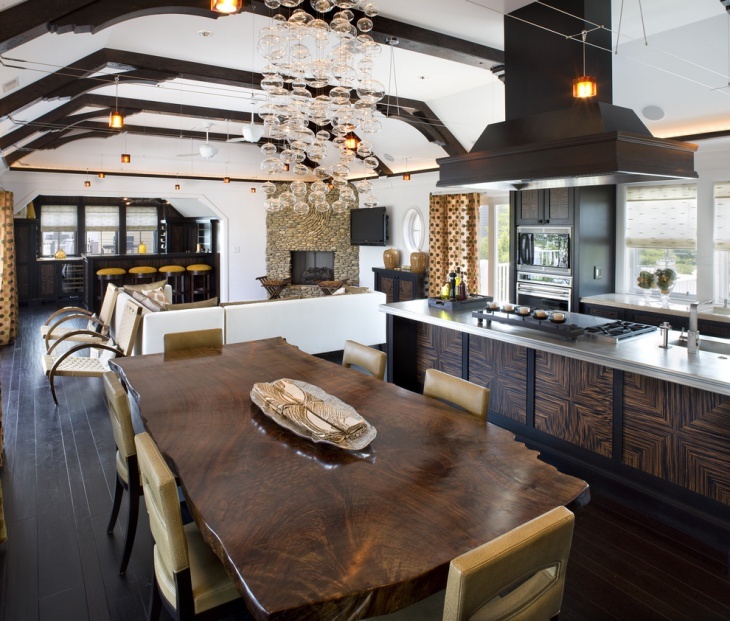 Details like the seats and the ceramic lamps in black color that match with the black countertops of the kitchen. You can incorporate different colors for every area. 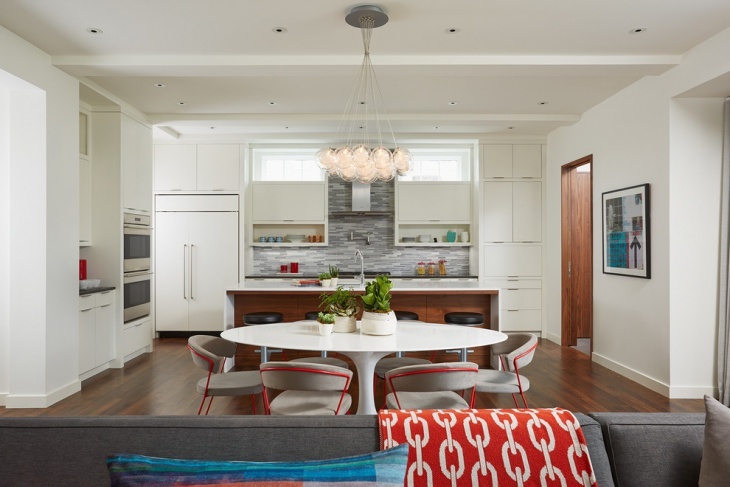 Following the white kitchen’s color scheme with a white dining table, the chairs with the red details give an intriguing splash of color. 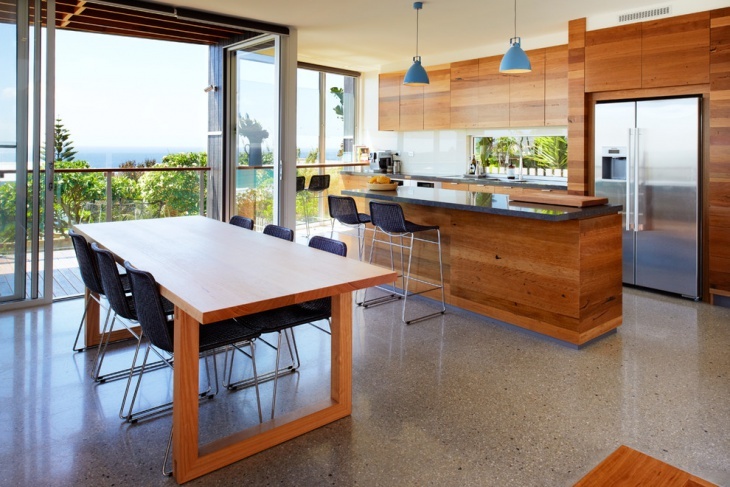 The dining table can also be an extension of the kitchen island. 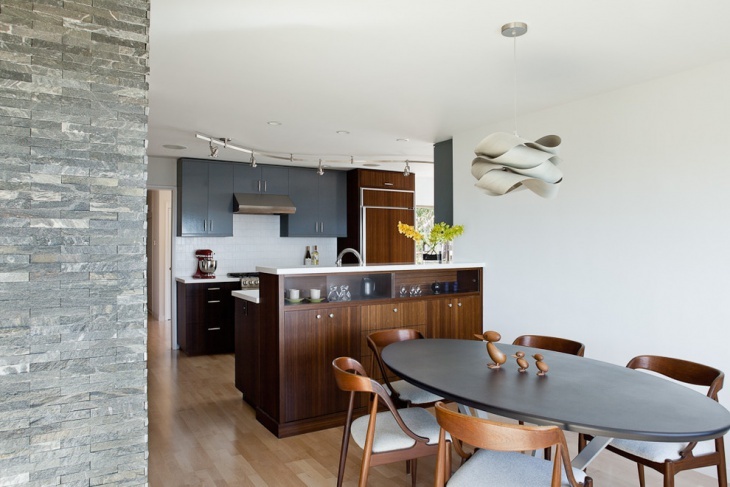 The antithesis of the dark colors of the flooring and the backsplash brings out the design of this modern kitchen dining, enhancing its beauty. You can match the colors of different places in the room and still make it all work. 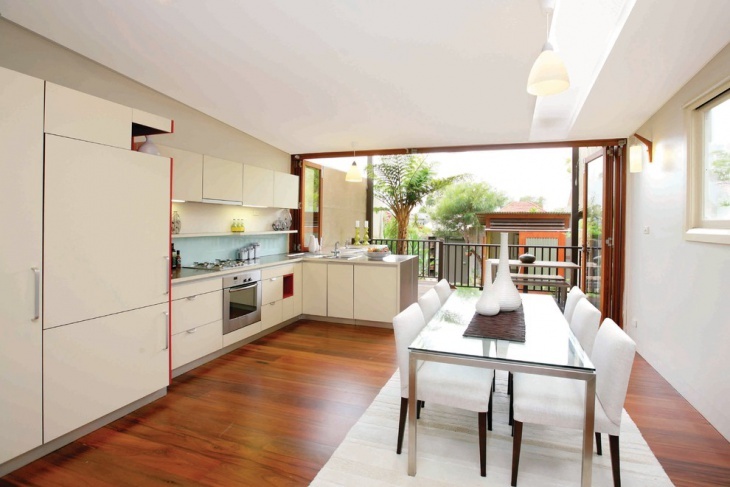 The cream colored cabinets match the island’s marble countertop as well as the chairs of the dining area. 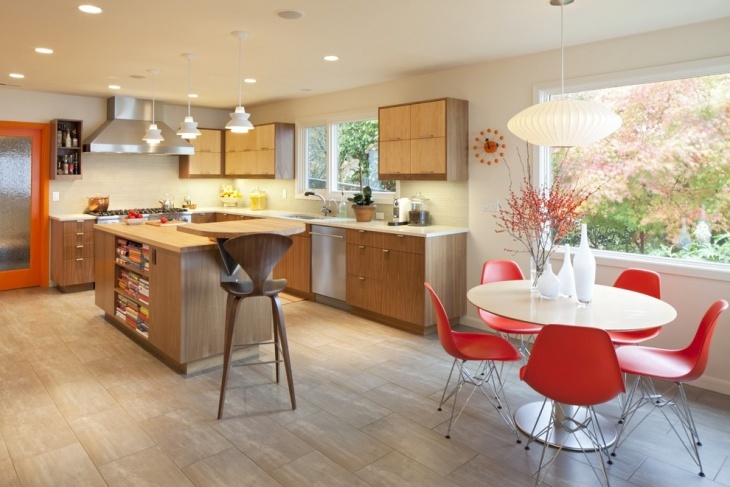 In small kitchens, you can forgo the dining table and instead use the kitchen island as one. 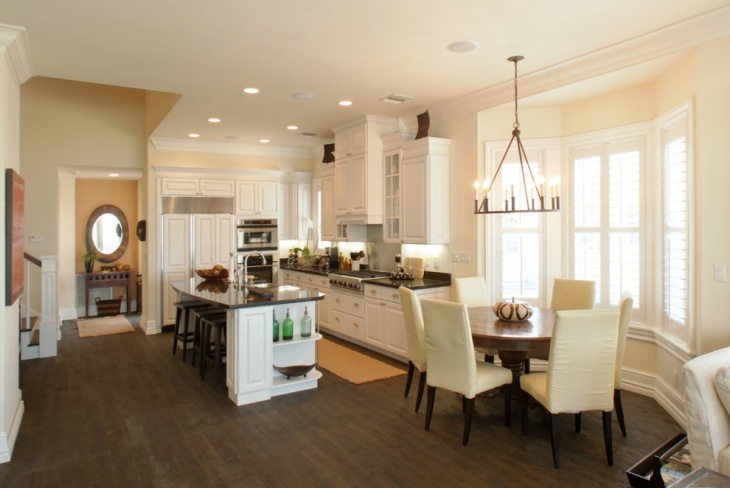 In bigger kitchens, you can have both a kitchen island and a separate dining area. You can distinguish the areas with the lighting. 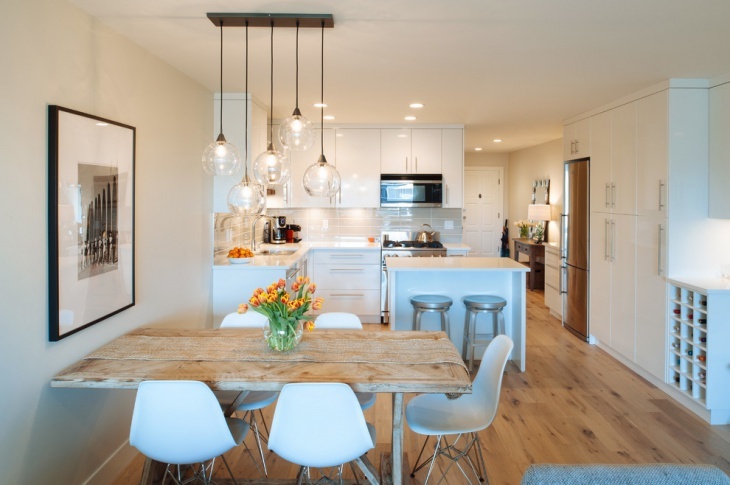 Use pendant lights for a more glamorous setting in your dining area. 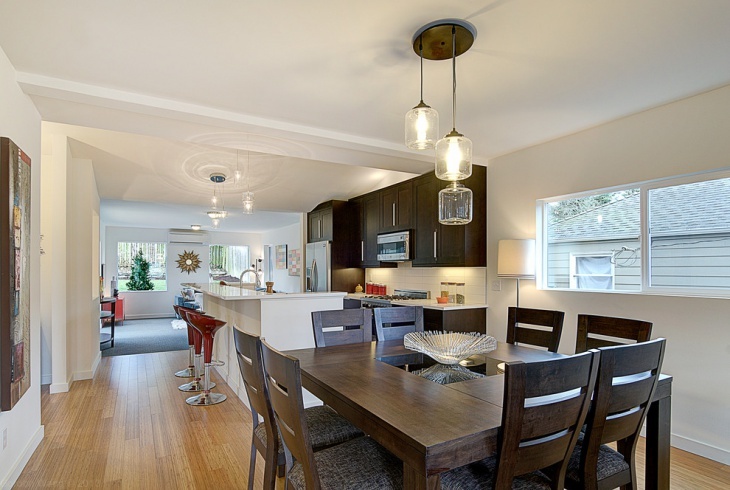 For this transitional kitchen dining area, the dining table was chosen in a square shape. This makes the special feature of the room eye catching. In this traditional setting, the areas are distinguished by the color of the furniture. 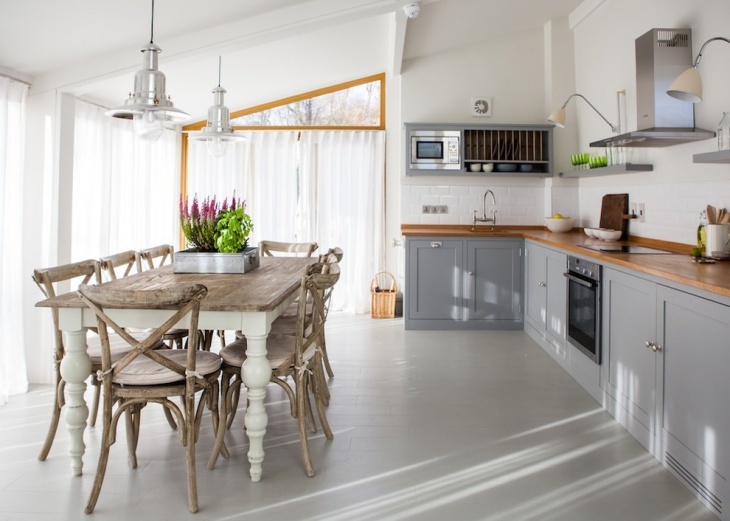 The white kitchen with the wooden dining table and chairs are brought together by the dark wooden flooring. 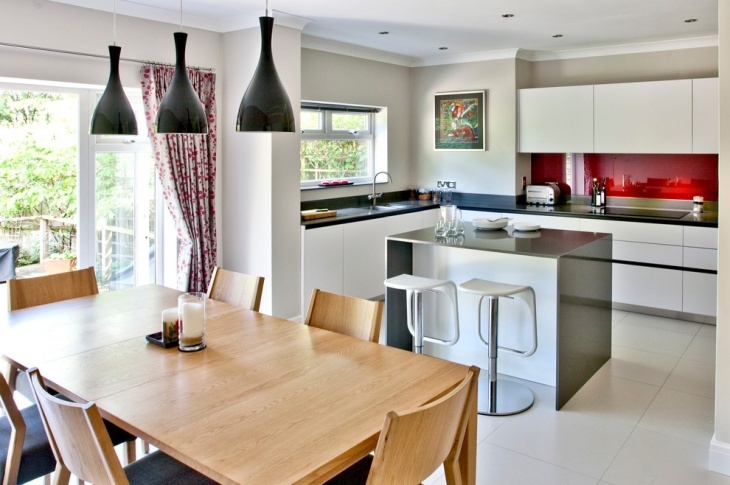 The practicality of a united kitchen dining room is perfect for many reasons. No matter the size of the house, an open space with dual purposes and different functions can be brought together to create a charming synthesis. Save space by using smart furniture. If your space is too small organize it in a way that will be functional without giving trouble. Decorate your space with accessories using different lighting. Your house should reflect its homeowners. 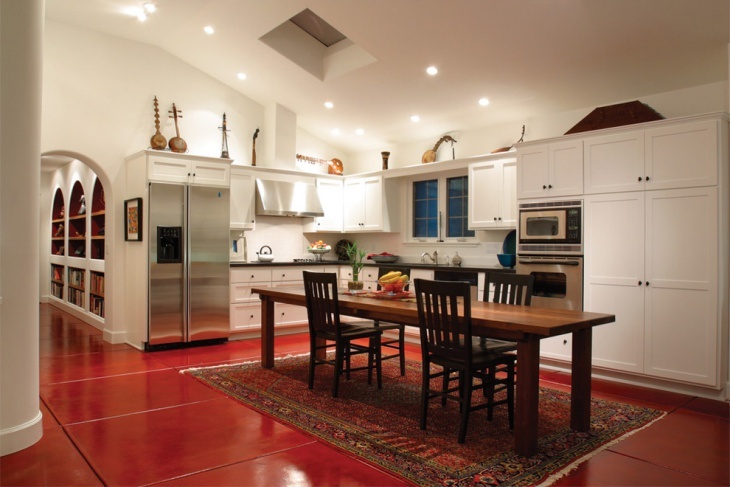 You have to put your personal style in the design of your kitchen dining room. 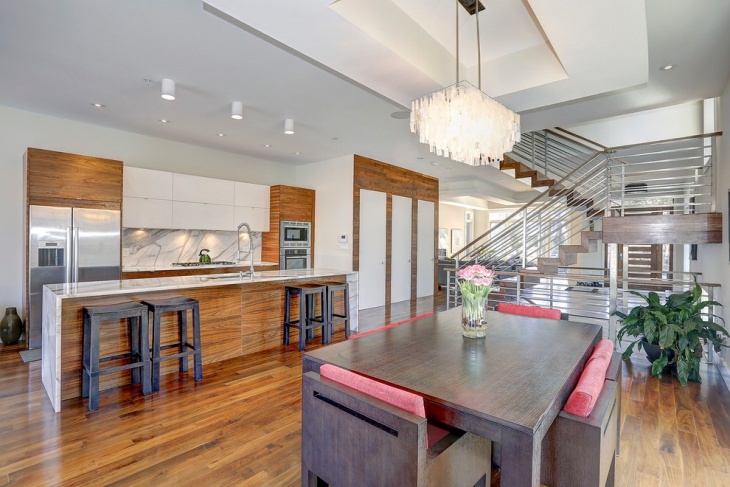 From the different materials to the combination of different styles and the numerous kitchen and dining room flooring ideas you can create a space that will bring together everyone.